Just finished my very first ever chalk paint project. I painted my kitchen table and chairs. It was way easier than I thought it would be and I was excited to get it waxed and finished. 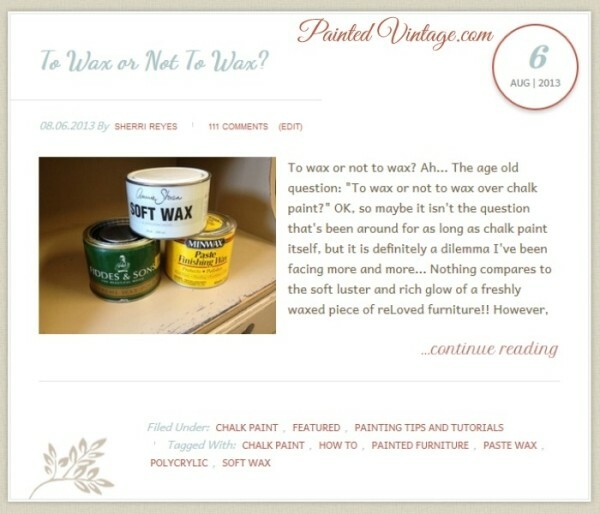 I was searching online where to purchase the wax that had been suggested by the manufacturer of the chalk powder I used in my paint, when I found your blog. SO glad I found this before I waxed my pieces. This table gets a ton of use by 3 little destructo’s so the wax would have been no match and I would not have known that until it was too late. Also, so glad I read about the matte finish poly as I would have been really sad to lose the chalky look I have achieved. Off to buy some poly! THANK YOU!!!!! I think this information is incorrect. You state that you have to re-wax every few months? I’ve been using Annie Sloan paints exclusively for my business for about two years now. I do kitchens and sideboards, dressers etc. I have many pieces myself here in my house. I have NEVER had to re-wax any of my pieces, including my kitchen or my parents’ kitchen that I did. The wax is cured after 30 days and becomes hard protecting the paint. I still have a beautiful velvety finish on all my pieces. That’s awesome Jane. I too have heard that all waxes need to be done again every year. I am assuming you used Annie Sloan wax? Annie Sloan wax is the most toxic on the market! Sorry ladies, due your research. It is a petroleum based product, it sits on top of the furniture. Meanwhile everything that touches it gets into it and then rubs off on to other things in the first three months. If you buff the heck out of it, you can get it to lay down. 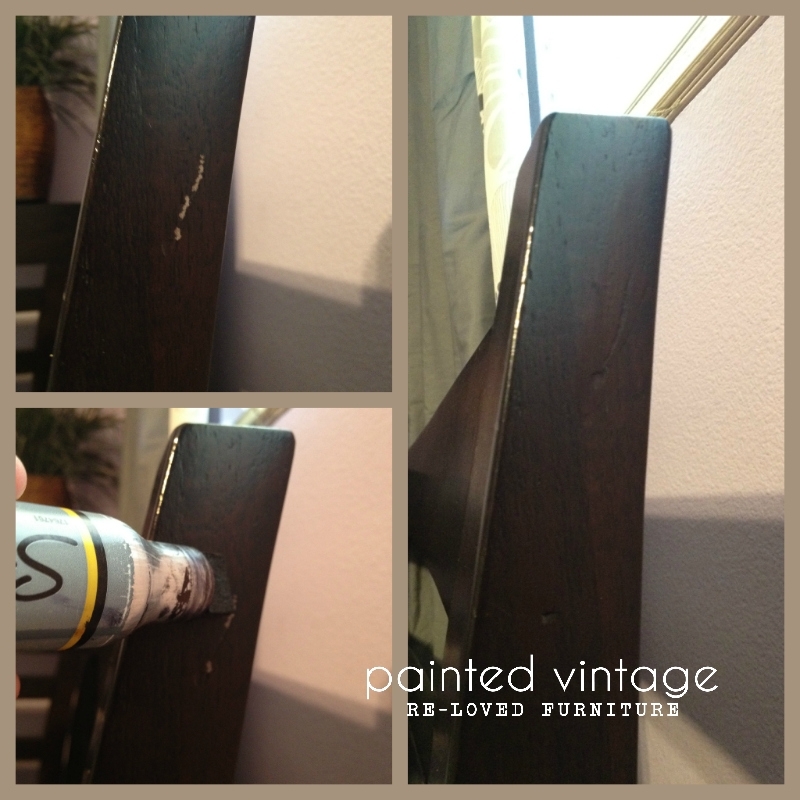 You only have to apply additional coats if your piece gets high use and you want to. I apply once a year to my special pieces. Thank you!!!!!! I have been looking for information like yours and you answered ALL of my questions! 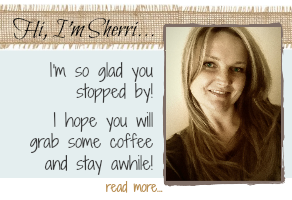 Thank you Sherri for a great page with all the info I needed in 1 read. You answered all the questions I had and been searching for answers for days! Thank you SO much for all this great info!!! I have been working on a project for the past few days and have been referring back to this! Going to the store to buy some poly today and I am SO glad I read about the matte poly because I have been worried about loosing the chalk paint look too much. Thanks much! what kind of matte poly do you recommend? they don’t have the matte in the Valathane? 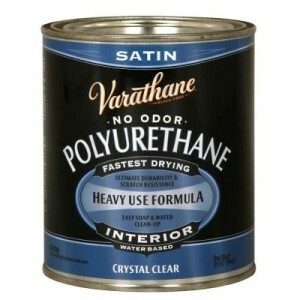 will it make a HUGE difference if I just use the satin? Hi Sherri, I just used satin varathene over ascp, and as it dried it left a crackled affect.I had primed the furniture with the zinsser shellac first. What did I do wrong? Hi Stacy, I have only experienced crackling when the base coat wasn’t thoroughly dry. How long before you applied the finish coat? I purchased and used the exact polyurethane in the post and it left streaking on my table top. It’s a grayish green chalk paint top. Now what? Lol. How can I get rid of the streaks without repainting? Thanks!! Sorry for the late response. I have only experience streaking when the base coat wasn’t dry, and the poly picked up and carried some of the color throughout the top coat. Is it a very dark color? Sometimes I’ve also seen that when the top coat was not applied evenly. 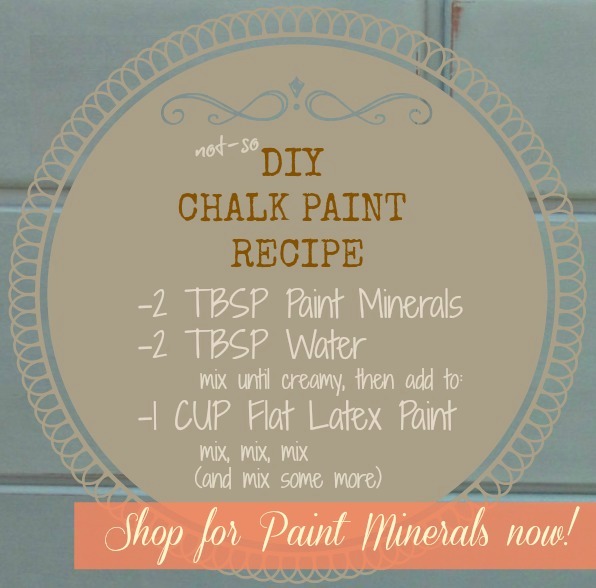 Annie Sloan chalk paint can paint right over wax! I love their paint because it’s so easy to fix mistakes! I have never tried poly over their paint but I plan to after reading your post! Thanks! 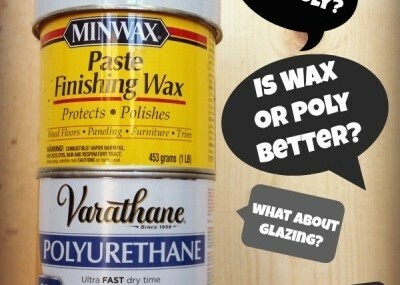 Can you wax over latex paint? 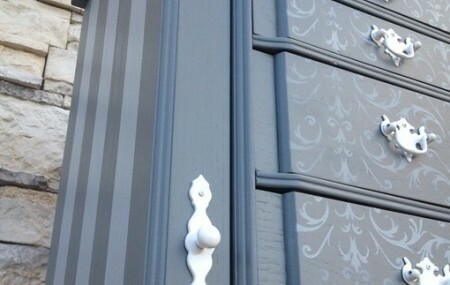 Can you show pictures of something you used Chalk paint on and then put the Varathane Crystal Clear Poly on? Hi Kathy, great idea!! I’ll work up a post showing examples of the Varathane. Thank you! I was just in the store yesterday and got so overwhelmed I could scream!! This was awesome!! 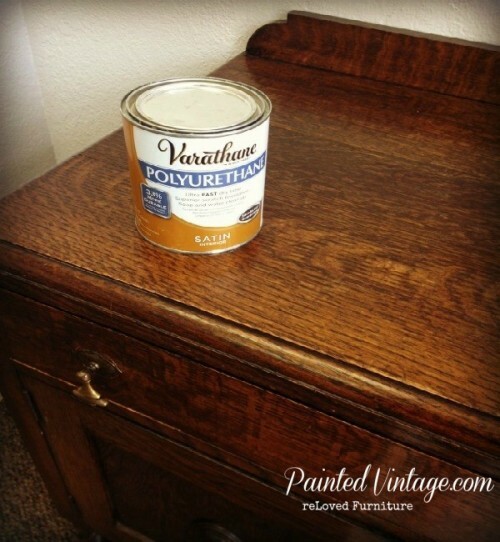 Can I apply the Varathane to a table and chairs I have recently painted with a homemade (plaster of paris) paint in an off white color with a sponge brush as not to leave brush strokes??? I love the look of hand waxed but this table will be in a sewing room and will be used to cut a lot of fabric, so I now know because of your post here that I need to return the American Décor Crème Wax I just purchased at a small fortune I might add and purchase the Varathane Poly. Would the soft matte give a more hand waxed appearance than using the satin??? As you can tell I am new to painting furniture… I have done lots of little things from shelves to candles, but this is my biggest project to date. I picked them up curb side someone had set out and fell in love, but want to do it right the first time. Would love to hear back from you on these 2 questions soon, as I am almost done painting and ready to start the finish. Thanks for sharing these 2 wonderful informative posts!!!! I think you may like the matte look better than the satin… I personally have not had good luck with using sponge brushes, you may want to experiment a little before to try it on your project! Good Luck!! Can you share more about what you brush use to apply the poly? I’m sorry if I missed this. I used a sponge brush and wasn’t thrilled with the application. I just tried the Shabby Paints VAX on two end tables and seemed easy to apply, but for larger pieces, I think it will be more economical to do polycyclic. Thanks! I have never had good results with a sponge brush either, I like to use a 2″ or 2 1/2″ Purdy (synthetic) brush. very helpful, thank you for sharing. I find wax to be more work than I like to do on a continuing basis so I agree with you about poly instead. I have a car wax buffer I use on our farmers table and it saves your arms. I shared that on my FB biz page L Kells Antiques It was very informative, thanks! I just put poly over chalk paint and I don’t like that I lost the matte finish of the chalk paint. I used a satin poly. Should I have used something else? Angie- the poly’s are available in a matte finish. I’ve had a really hard time finding a matte finish poly. Not sold anywhere in my area and I’ve searched online with no luck. Any brand names that have matte finish poly’s? Oh, I wish I had read this article YESTERDAY! I just finished painting a dresser with Folk Art Home Décor chalk paint. Last night I used the same brand of antiquing wax. It’s not a paste wax, but a liquid. So now I need to seal it and have no clear wax……but on another blog I read you should use clear wax first and then dark wax. After reading your article I was going to use polyacrylic, which I have, but then further down read NOT to use poly if already waxed! So now I’m not sure what to do! This piece is going in my 9 year olds sons room. Any suggestions???? Thank you! I would not recommend applying any poly over the wax. Having never used the Folk Art Home Decor Chalk Paint or Wax, I am not familiar with their liquid wax. I did read their product data info, and frequently asked questions. Here is a link, I hope the 3rd page may be of help to you! Sherri, Thank you for the link to Plaid’s FAQ. I should have read that to begin with. I was so excited to get started, I just jumped right in! Lesson learned. 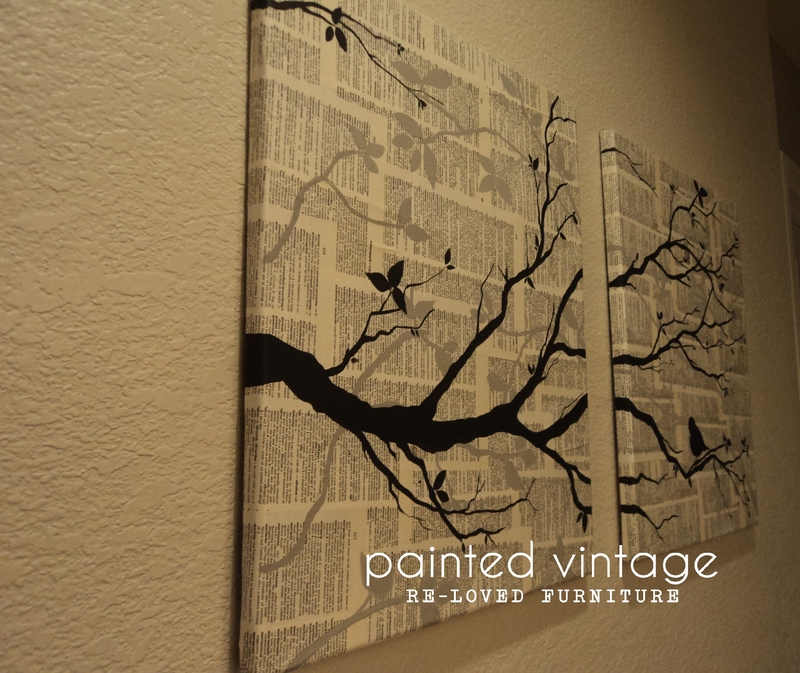 This is my first piece that I’ve used with chalk paint. Luckily, it’s just going in my sons room so he has a place to stash his goodies. I applied the poly over the antique wax and it’s still fine. It’s more like a stain than a wax. I used poly that I already had. In the future, if I use poly, I will definitely purchase the matte finish. I’m going to be chalk painting two end tables in my FR. 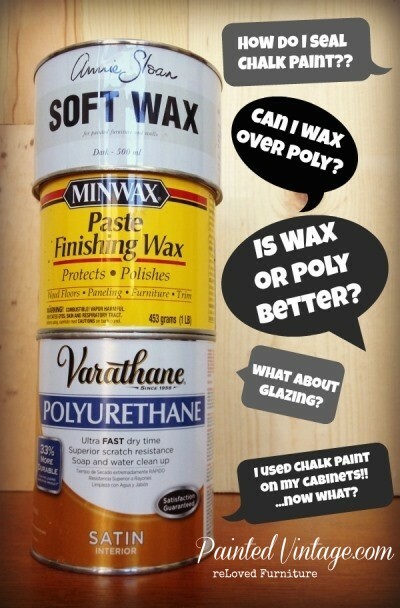 If they were yours, would you use the matte poly vs. the clear wax? I tried putting the antique wax over the poly and it did not work. Thank you again! Hi! I am confused and had a quick question for you. So I just painted a large headboard with DIY chalk paint and I used plaster of paris. The paint worked and looks fabulous, but now I need something to hold it in so it does not peel or scratch. I have used wax before and I did not have the best of luck. I have both Amy Howard’s light and dark waxes but I want my piece to remain the color it is now, and have that “matted” look. I do not want any shine. What do you suggest I use? Half the stores I’ve gone into do not know what water based shellac or poly is lol. Please help!!! When you say “hold it in so it does not peel or scratch, that’s an adhesion issue. If that layer of paint is not sticking to the surface you have painted, a top coat will offer little protection.